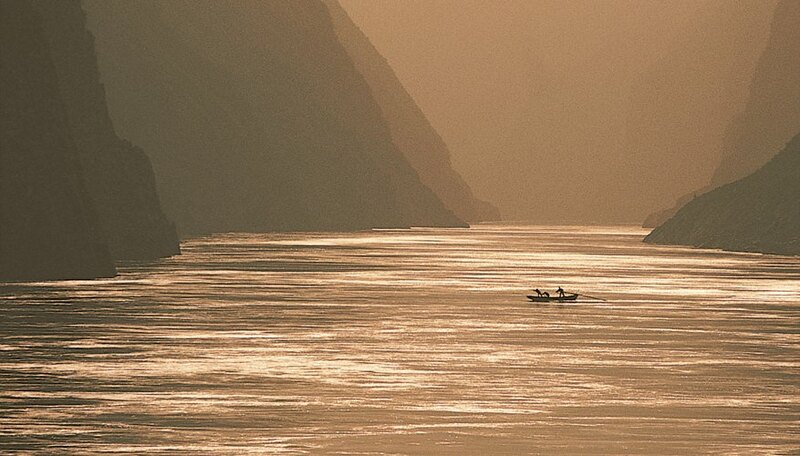 The Yangtze River diversion is expected to benefit half a billion people, Chinese officials say. This megaproject, the largest water diversion scheme in the world, is restructuring the natural flow of two of China’s major river systems. But, as can be expected, there are also a host of environmental, engineering and social problems associated with the project, and these may even cause international tensions. The $62-billion South-North Water Diversion Project will divert 10.5 trillion gallons of water each year from the Yangtze River in China’s south to the Yellow River in the arid north -- a region that has 35 percent of the country’s population, but only 7 percent of its water resources. The north-south diversion was first proposed in the 1950s -- reportedly by Chairman Mao himself -- but the final go-ahead was given only in 2001. The diversion will be through three routes -- the eastern, central and western. The first phases of the eastern and central routes -- totaling 1,800 miles or 67 percent of the project's total length -- are mostly operational as of early 2013, with their completion scheduled for late 2013 and 2014, respectively. But no substantive work has been done on the western route. Cross-pollution between the Yangtze and Yellow River basins, which were previously isolated from each other, creates major environmental problems. Northward transfer of pollutants from the Yangtze -- which flows through the heavily industrialized south -- is such a concern that, for the eastern route, up to 44 percent of the budget will be spent on pollution control to ensure acceptable standards for drinking water. Also, massive excavations required for the construction of canals will destroy wetlands and their ecosystems, including wildlife habitat. Moreover, reduced water flow will cause silting and additional pollution in many sections of rivers. Some engineers have questioned the reliability of the basic data used for planning, as it is decades old. Geologist Yong Yang, a former government official and now an independent environmentalist, believes that the volume of water to be diverted from a section of the upper Yangtze exceeds the present-day capacity of the river. The western route traverses the earthquake-prone Tibetan plateau at altitudes of up to 16,000 feet, which is expected to give rise to major engineering problems. Implementation of the South-North Water Diversion Project will displace more than 300,000 people. They are being resettled, but dissatisfaction among farmers because of the quality of land offered as compensation has sparked clashes with police. Diversion of water from agricultural to municipal use is another contentious issue. China’s neighbors are concerned that the Yangtze diversion could adversely affect flow in their major rivers with headwaters in the mountains of western China. India’s Brahmaputra River and the Mekong -- which flows through Burma, Thailand, Laos and Cambodia -- both derive their waters from China. Soonawala, Nash. "Yangtze River Diversion Problems." Sciencing, https://sciencing.com/yangtze-river-diversion-problems-20123.html. 25 April 2017.